Malcolm X emphasized the parallels between the African-American struggle for equality and the Asian, Latino, and African campaigns against European colonialism. Malcolm X also drew attention for criticizing the growing U.S. military involvement in Vietnam. 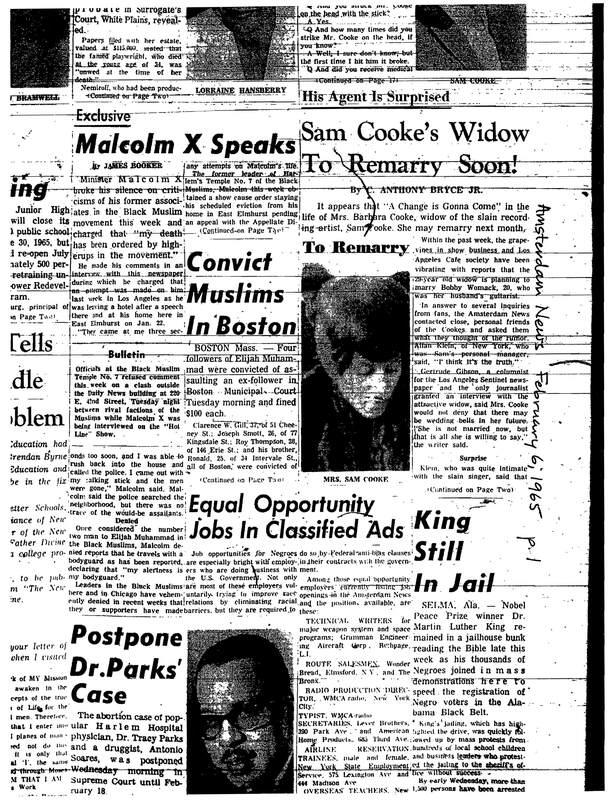 Upon Malcolm X’s return to the United States in November 1964, death threats escalated against him and his family. 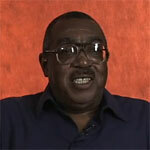 in the early morning hours of February 14, 1965, his home in Elmhurst, Queens, was firebombed. Malcolm X/Haley, Autobiography, Chapter 19. 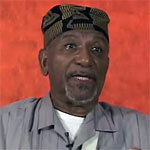 Breitman, ed., Malcolm X Speaks, pp. 88-156. 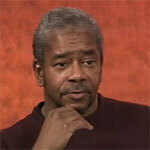 Turner, Islam in the African-American Experience, pp. 147-173; 214-233. 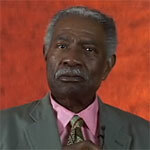 Steve Clark, ed., February 1965: The Final Speeches, pp. 17-256. 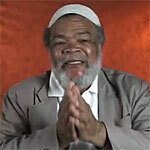 Claude Andrew Clegg III, Chapter 8, “Rumors of War,” An Original Man: The Life and Times of Elijah Muhammad, pp. 190-234. 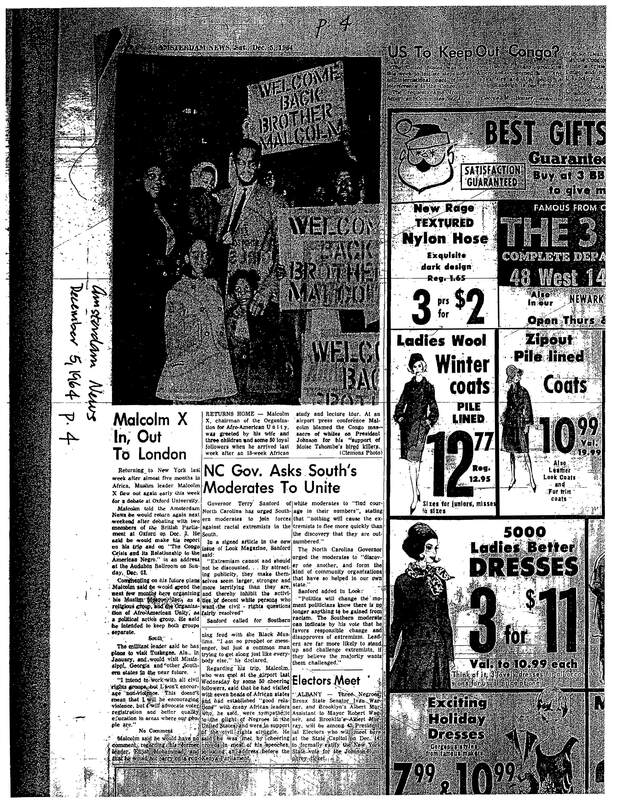 “Malcolm X In, Out to London,” Amsterdam News, December 5, 1964, p. 4. 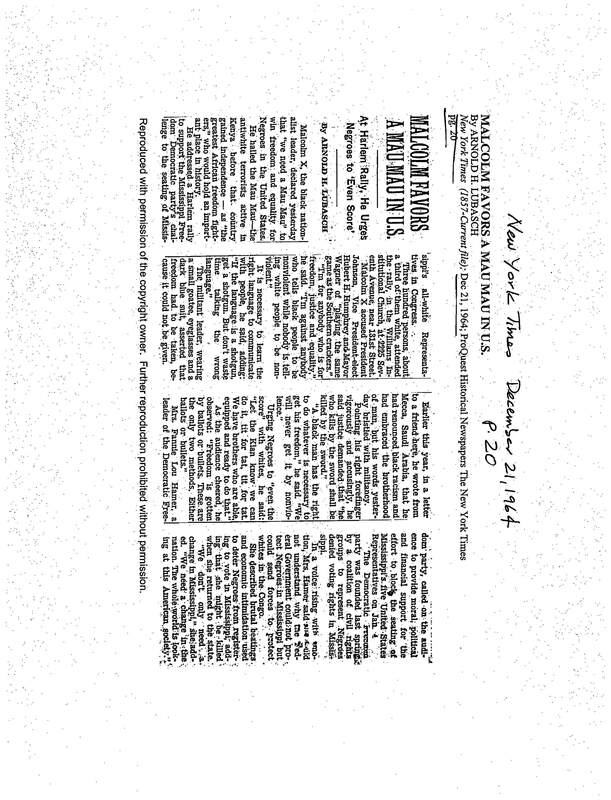 Lusbasch, “Malcolm Favors a Mau Mau in U.S.,” New York Times, December 21, 1964, p. 20. 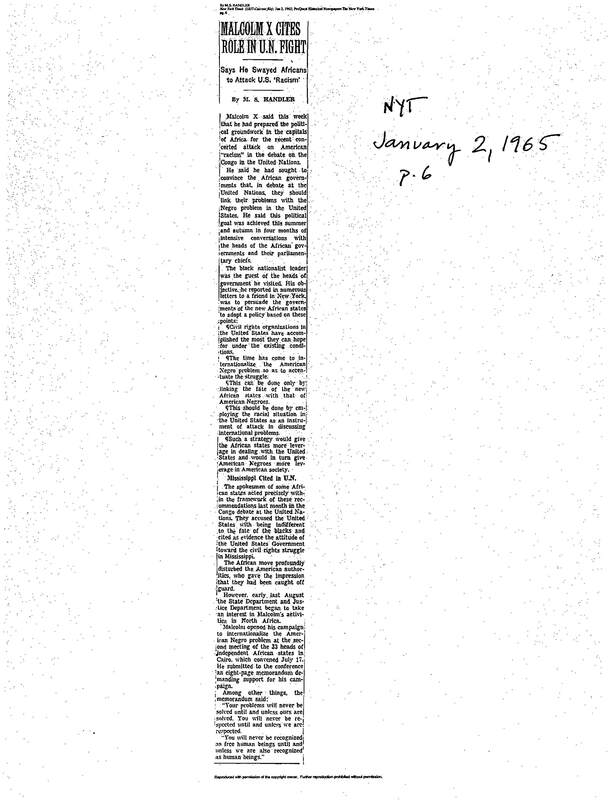 Handler, “Malcolm X Cites Role in U.N. Fight,” New York Times, January 2, 1965, p. 6. 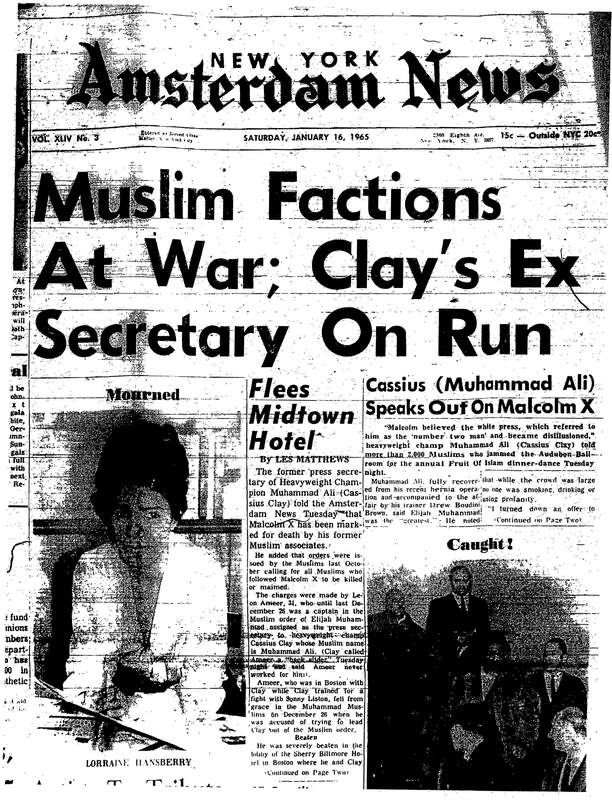 “Cassius (Muhammad Ali) Speaks Out on Malcolm X,” Amsterdam News, January 16, 1965, pp. 1-2. 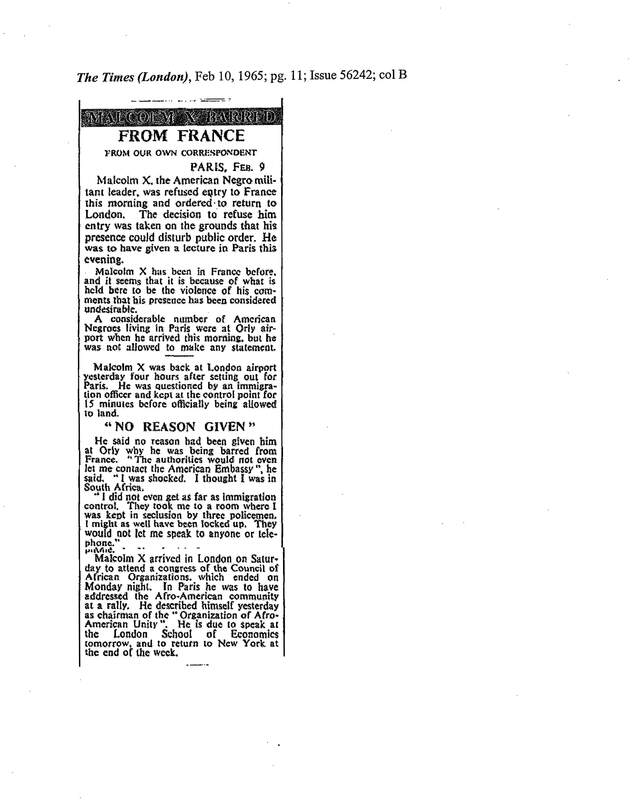 “Malcolm X Barred From France,” London Times, February 10, 1965, p. 11. 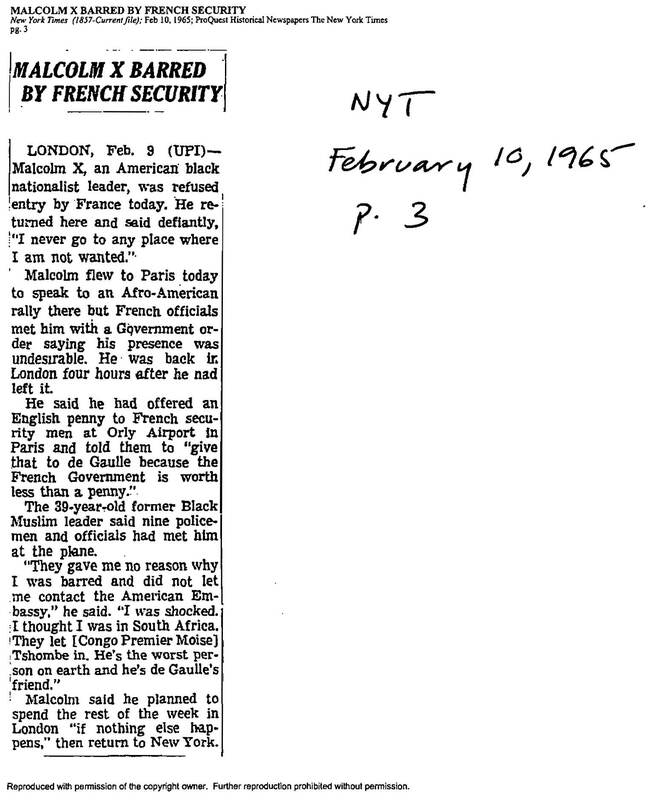 “Malcolm X Barred by French Security,” New York Times, February 10, 1965, p. 3. “Break Up of the Old World!,” Muhammad Speaks, February 12, 1965, pp. 1, 3. “I’m Ready to Meet the Challenges of the Messenger’s Foes,” Muhammad Speaks, February 12, 1965, p. 4. 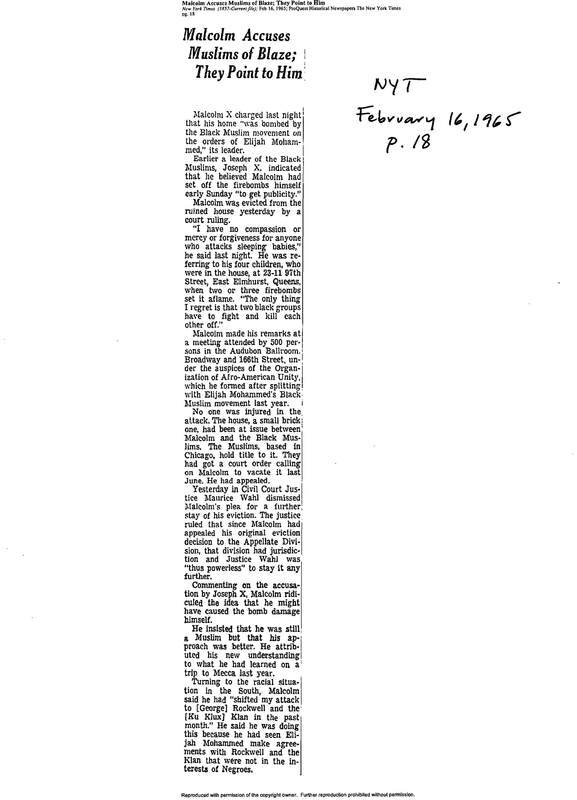 “Malcoln [sic] X To Reveal New Plans,” Amsterdam News, February 13, 1965, p. 5. 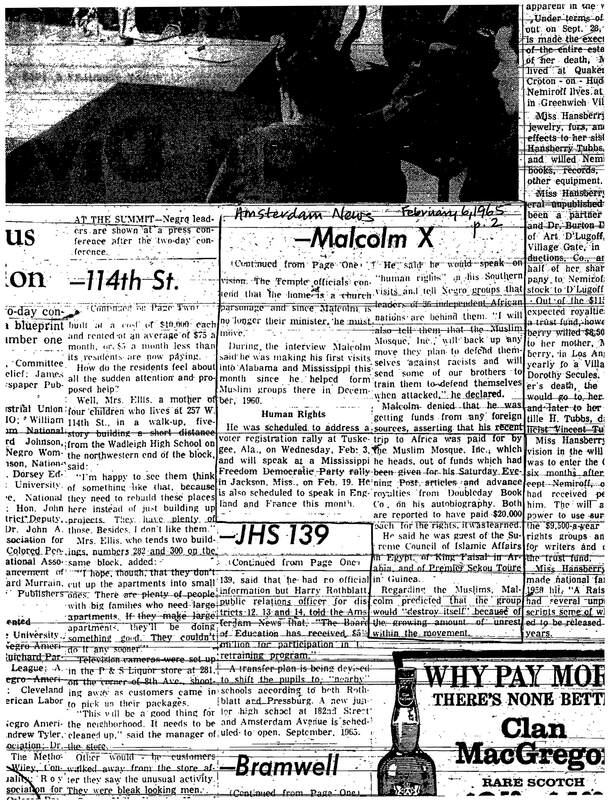 Handler, “Malcolm X Flees Firebomb Attack,” New York Times, February 15, 1965, pp. 1, 21. 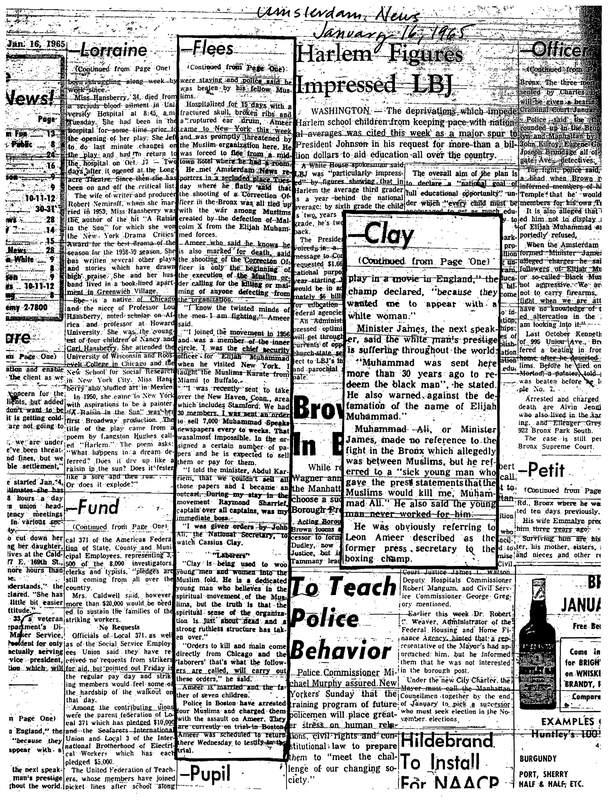 “Malcolm Accuses Muslims of Blaze; They Point to Him,” New York Times, February 16, 1965, p. 18. 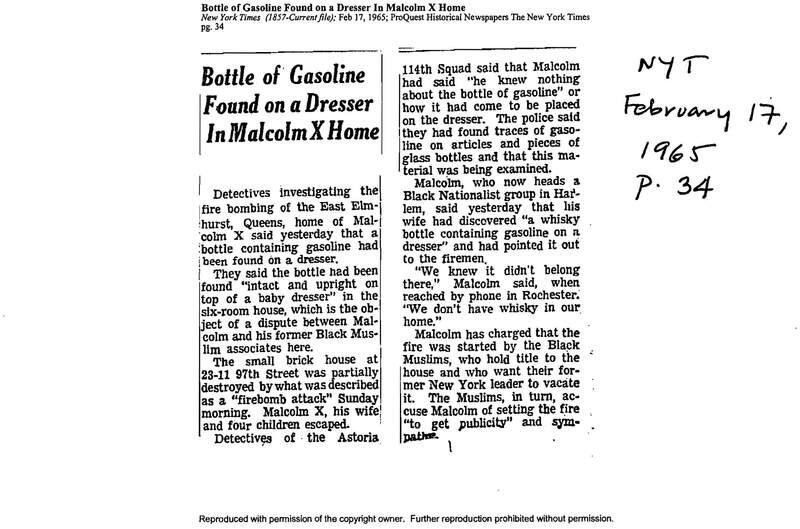 “Bottle of Gasoline Found on Dresser in Malcolm X Home,” New York Times, February 17, 1965, p. 34. 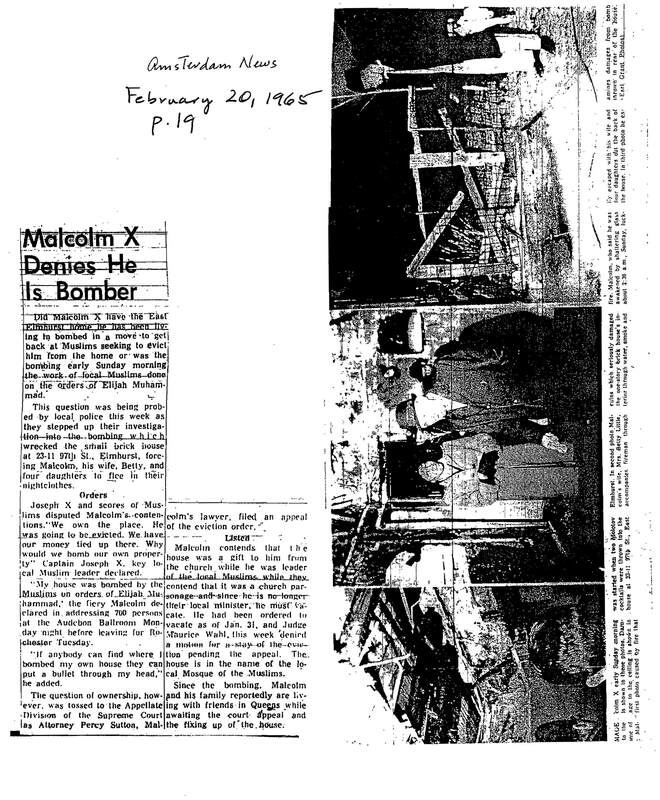 “Malcolm X Denies He Is Bomber,” Amsterdam News, February 20, 1965.